Career Exploration is an introductory course designed to assist students in (a) discovering their personal strengths and abilities, (b) understanding opportunities available to them in different career areas, and (c) practicing skills necessary to excel in the workforce and in postsecondary learning. Upon completion of this course, proficient students will know and exhibit soft skills (e.g. teamwork, creative thinking, and problem solving), as well as more technical skills (e.g. resume building and written communications) related to career exploration and experience. Students will also learn about and be exposed to existing CTE pathways and elective focus options within a high school setting and will learn how to successfully transition into a district recognized career academy or program of study. Culinary Arts I equips students with the foundational knowledge and skills to pursue careers in the culinary field as a personal chef, caterer, executive chef, and food and beverage manager. Upon completion of this course, proficient students will have knowledge in the components of commercial kitchen safety and sanitation, history of the foodservice industry, careers, nutrition, recipe basics, proper kitchen tools and equipment, and kitchen staples. Throughout the course students will gain experience in commercial food production and service operations, while preparing for further training at the postsecondary level. 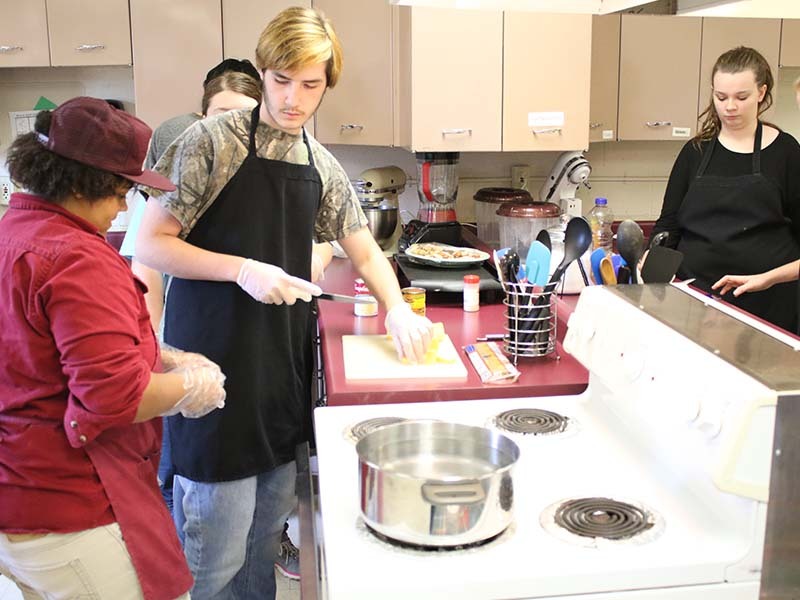 Culinary Arts II is an applied-knowledge course to prepare students for careers in the culinary field as a personal chef, caterer, executive chef, and food and beverage manager. Upon completion of this course, proficient students will have an understating of commercial kitchen safety and sanitation, menu planning, food presentation, purchasing and inventory, preparation skills, cooking principles, and food preparation. Students will gain experience in commercial food production and service operations, while preparing for further training at the postsecondary level. Family Studies is an applied knowledge course that examines the diversity and evolving structure of the modern family. Upon completion of the course, proficient students will have knowledge of the demographic, historical, and social changes of interpersonal relationships, as well as parenting, and the effect of stressors on the family. Introduction to Human Studies is a foundational course for students interested in becoming a public advocate, social worker, dietician, nutritionist, counselor, or community volunteer. Upon completion of this course, a proficient student will have an understanding of human needs, overview of social services, career investigation, mental health, and communication. 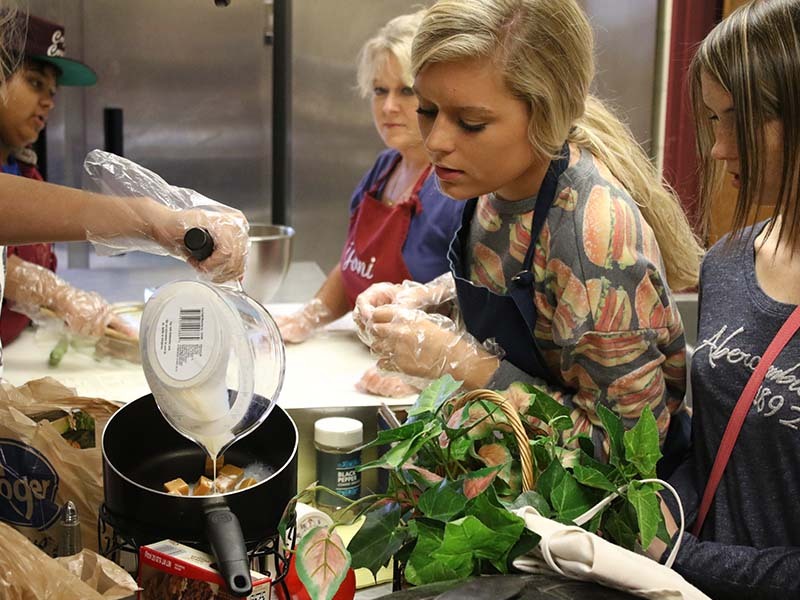 Nutrition Across the Lifespan is for students interested in learning more about becoming a dietitian, nutritionist, counselor, or pursing a variety of scientific, health, or culinary arts professions. Upon completion of this course, proficient students will understand human anatomy and physiological systems, nutrition requirements, as well as social, cultural, and other impacts on food preparation and integrity. Nutrition Science and Diet Therapy is an applied knowledge course in nutrition for students interested in the role of nutrition in health and disease. Upon completion of this course, proficient students will be able to develop a nutrition care plan as part of the overall health care process, use methods for analyzing the nutritional health of a community, and understand the relationship of diet and nutrition to specific diseases. The course places emphasize on the role of diet as a contributor to disease and its role in the prevention and treatment of disease.